How can I edit a product review before publishing it? Go to the Products > Product Reviews. Click the Title link for the product reviews you wish to edit. 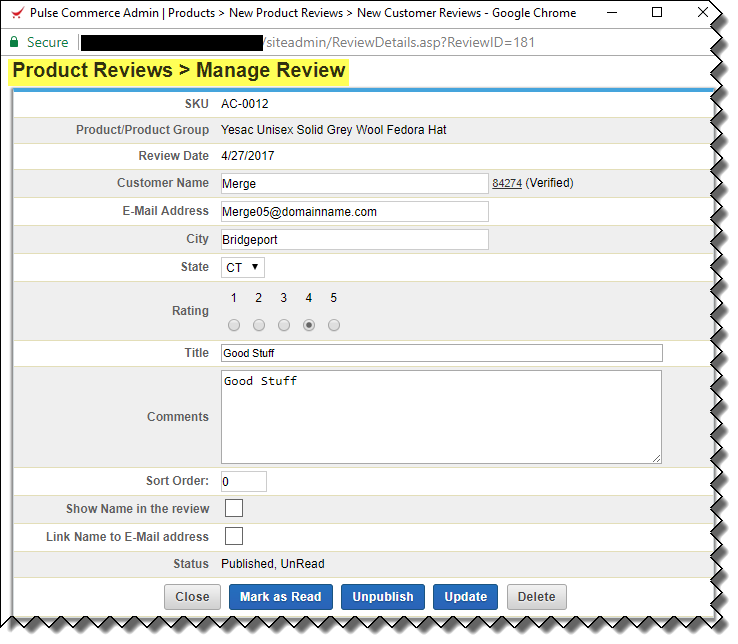 This opens up a pop up Product Reviews > Manage Review. Edit the review as you wish. If you wish to change the status from UnRead to Read. Click Mark as Read Button.